For the first time in their 125 year history, Bournemouth are all but certain of promotion now into the English Premier League after a 3-0 win over Bolton on Monday night. This remarkable tale of a small club climbing to the top of the English football pyramid, is truly emphasized by the fact that their 11,700-capacity Goldsands Stadium will be the smallest in Premier League history. Considering it took a late goal by club legend Steve Fletcher in the last home match of the 2008/2009 season to keep the club in the Football League at all, and with the threat of going out of business entirely looming large around that time, the club's rise from the near ashes is remarkable. Some may point out that the club is owned by a rich Russian benefactor, but Maxim Demin hasn't exactly splashed the cash on that many huge signings besides picking up Callum Wilson for £2.5 million. After believing that promotion to the old First Division had been achieved after winning the Second Division Play-Off Final in 1989/1990, Swindon were found guilty of financial irregularities and denied a place in the top flight. They would rebound though to go up through the Playoffs in 1993, but their lone year in the EPL was an utter disaster. Losing manager Glenn Hoddle to Chelsea before the season, Swindon Town conceded a record 100 goals and won only five matches on their way out of the Premier League. Since that 1993/1994 season they have never returned to the top tier and have gone through several periods of financial difficulties. A club that had been one of the powers in the English game at the turn of the twentieth century, Blackburn Rovers had been out of the top division for 26 years when they finally returned to the big table. Backed by millionaire industrialist and lifelong fan Jack Walker, Rovers were able to bring in the legendary Kenny Daglish as manager and sign several key players like Alan Shearer. 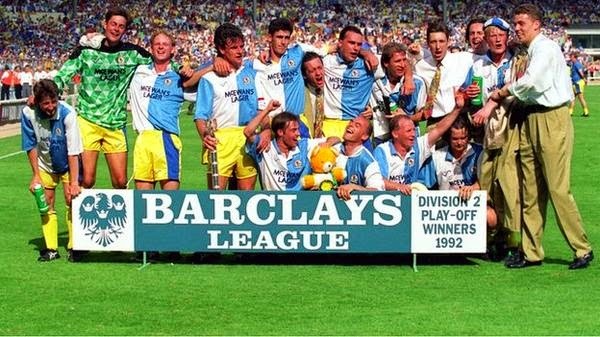 After finishing an incredible fourth in their first season in the Premier League in 1992/1993, two years later Rovers became the smallest club ever to win the EPL title. After joining the Football League in 1978, the club who had the perceived misfortune of residing in the "Rugby town" of Wigan pottered around in the lower divisions before being purchased by sporting goods tycoon and former Blackburn Rovers player Dave Whelan in 1995. Thanks to Whelan's investment the club climbed through the divisions and finally made it into the top division on the last day of the 2004/2005 season with a 3-1 win at the then named JJB Stadium, sparking massive celebrations. 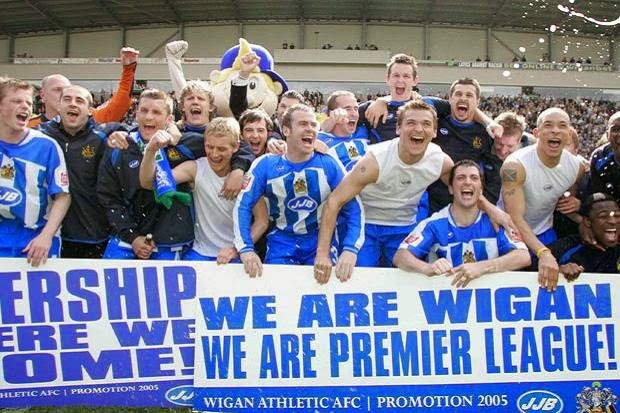 Wigan would last for eight years in the EPL, and even manage to stun Manchester City in the 2013 FA Cup Final before being relegated into the second tier. 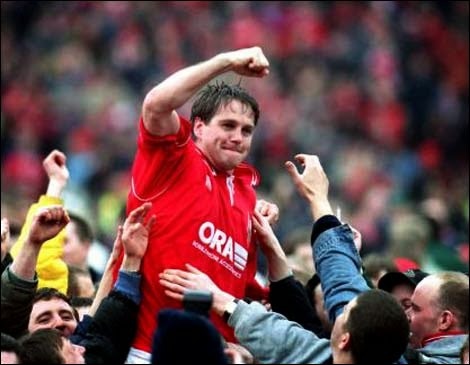 For the first, and only, time in their 109 year history Barnsley won a place in the Premier League in their final home match of the 1996/1997 season by virtue of a 2-0 win over Yorkshire rivals Bradford City. Pipping Wolverhampton Wanderers to the second automatic promotion spot behind champions Bolton, the Tykes lack of financial punch was brought home in the top tier as they suffered several heavy defeats, such as a 6-0 drubbing at home to Chelsea and a 7-0 reverse to Manchester United at Old Trafford. Barnsley were relegated at the end of the 1997/1998 season and in the years since have struggled with finances while going back and forth between the second and third tiers. The smallest town to ever field a Premier League side were once upon a time one of the best sides in the land, winning the title in 1960 and often being in the running for league and cup glory in the 1950's and 1960's. But since 1976, Burnley had been out of English football's top division and had spiraled down into the lower leagues. 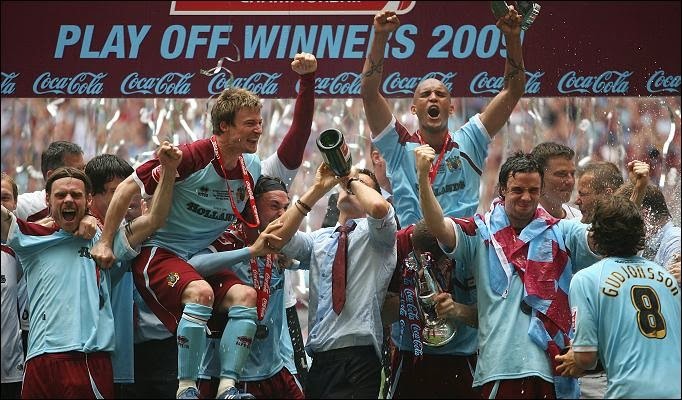 After returning to the second tier in 2000, Burnley established themselves in the division despite having one of the lowest payrolls and in 2009 a 1-0 win over Sheffield United at Wembley in the Play-Off Final saw them return to the top flight after a 33 year absence. Despite only lasting one season in the EPL, Burnley returned again to the top tier in 2014 after finishing second in the League Championship to Leicester City.